Polo is our oldest male here at Fox River Spaniels. He was born August 2010 and is out of our Ruby and Divot. Polo is a clown and a fun-loving little boy, well adjusted, and lives life to its fullest. Polo loves to jump, so being Green Bay Packer backers, his name was a given. In the left picture is Amy showing Polo in the breed ring at 18 months. 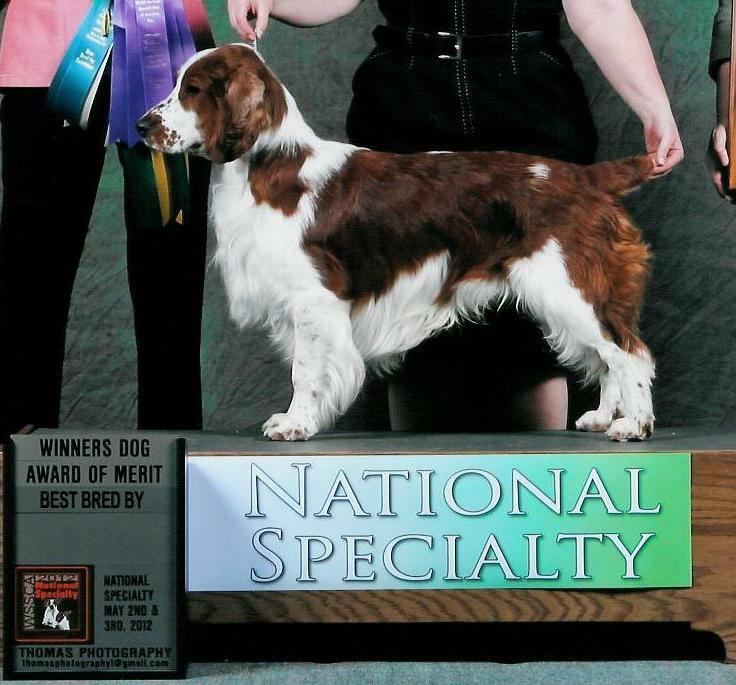 Polo has his breed championship and is working on his grand championship now – just need those last three points! 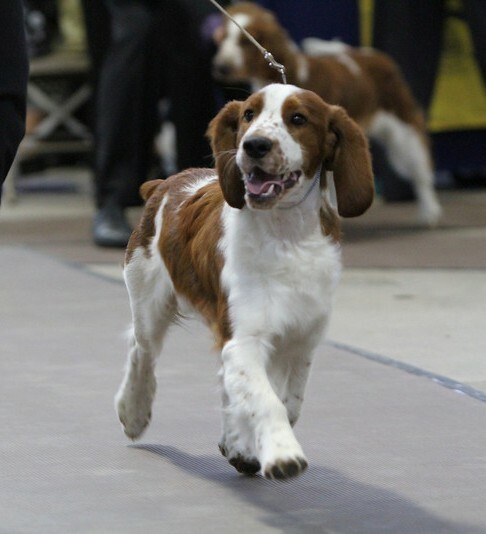 We are especially proud of the fact that Polo went Winners Dog, Best Bred-by and received an Award of Merit at the 2012 Welsh Springer National. Polo most recently earned his Canine Good Citizen title at Packerland Kennel Club October 2013 and his Grand Champion in January 2014.